alaTest has collected and analyzed 199 reviews of Philips Fidelio S2. The average rating for this product is 4.1/5, compared to an average rating of 4.2/5 for other Headphones for all reviews. Opinions about the size and usability are on the whole positive. The durability and design also get good feedback. There are some less positive comments about the portability and bass quality, while opinions are divided on the price. We analyzed user and expert ratings, product age and more factors. 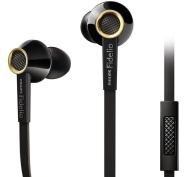 Compared to other Headphones the Philips Fidelio S2 is awarded an overall alaScore™ of 87/100 = Very good quality. The Philips can lay legitimate claim to being one of the very best of its kind out there at the moment.